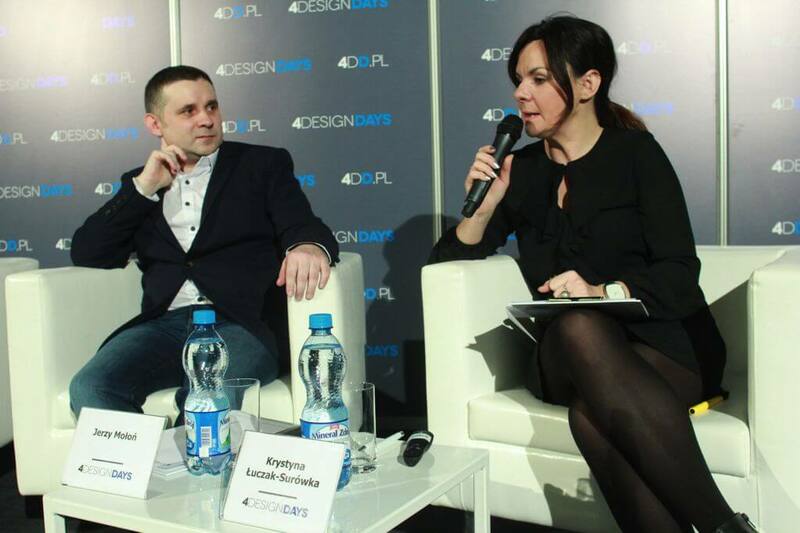 The biggest design, architecture, real estate and urban development event in Poland: 4 DESIGN DAYS is behind us. During the four days, the ICC in Katowice was visited by more than 3.5 thousand business guests and nearly 20 thousand visitors. They could visit the stands of more than 170 exhibitors and nearly 60 panel discussions, lectures and presentations. An impressive result, considering that it was the first edition of 4 DESIGN DAYS – the biggest substantive event in the country at the moment, centered around design in four areas. This is a proof that Polish design is experiencing a renaissance. The RUST brand could not miss the event of this size. On the RUST stand, a studio design of sensual kitchen interior was presented; it reflects the vivid passion of one of the clients – Mr. Mariana Bijocha, a journalist from Katowice, father of two models (Julia and Suzanne), who has been fascinated with the world of fashion for years. It is that passion, which has become the leitmotif for the team of RUST designers. During the four days of the event, the stand was crowded with visitors, designers and reporters of all the editor teams involved with the interiors. 4DD is a unique opportunity to meet leading Polish designers and people connected with architecture and design, in one place. In each of the four days we have prepared a number of panels. 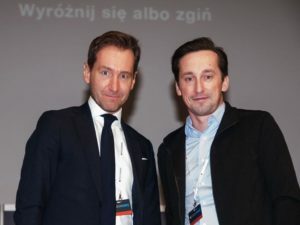 On the morning of February 11th, at the inaugural session of Stand Out or Die, Creative Designer Albert Kaleta together with the designer Oskar Zięta – CEO of Zieta Prozessdesign Sp. z oo, Fokke Moerel – MVRDV project manager, Józef Madej – a Musk Collective Design designer, Jan Kochański – designer Bożena Gargas – president of the Institute of Industrial Design, wondered together with the moderator – Piotr Kraśko, on the condition of Polish design. On the same day Creative Designer Justyna Kurtz took part in the Design, you idiot! How technology and the new expectations of the X, Y, Z generation affect the thinking about design and architecture discussion, moderated by architect and designer – Natalia Nguyen. On February 12th, the first panel began at 9:00 am and rose a subject of the design Money: Do not copy, design! 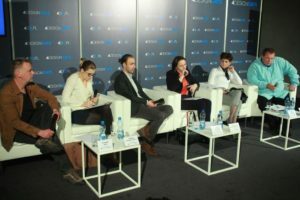 Invited guests: Monika Bird-Kruszelnicka- manager of the ESF Coordination Department in the Office of Marshal of Silesia, Jadwiga Husarska-Sobin – designer, Krzysztof Bury – owner of Old Wood Design, Jan Kochański – designer and Iwona Zupańczyk – Creative Designer of the RUST brand, have immediately given impressive pace to the discussions. 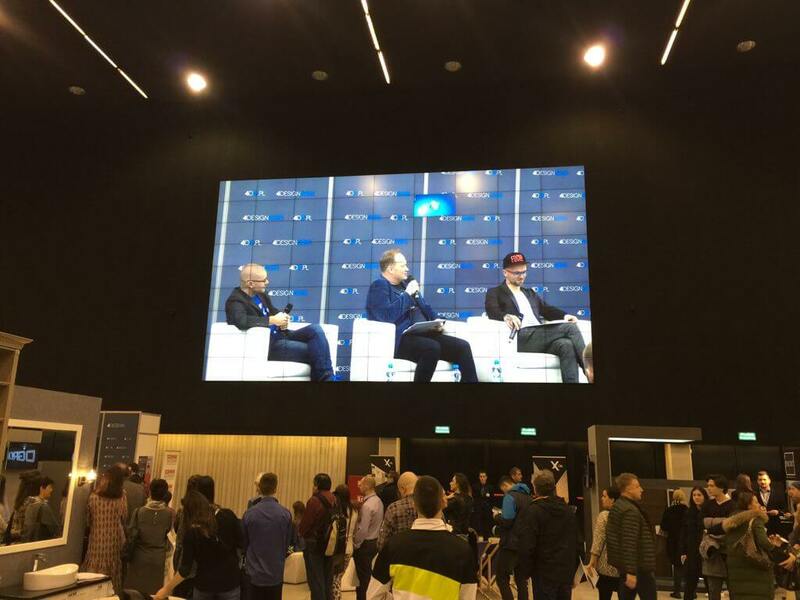 Much of the credit for that, should go to moderator, Witold Załęski of Code Design, who, in short, said that before managing to create the perfect design of the product, dozens of them can be created and that costs. Stories and scenarios for the future of kitchen design were considered with Krystyna Łuczak-Surówka and Creative Designers: Izabela Szumlas and Jerzy Mołoń. The panel was very popular, as the gathered audience and questions the audience asked the speakers, has proven. 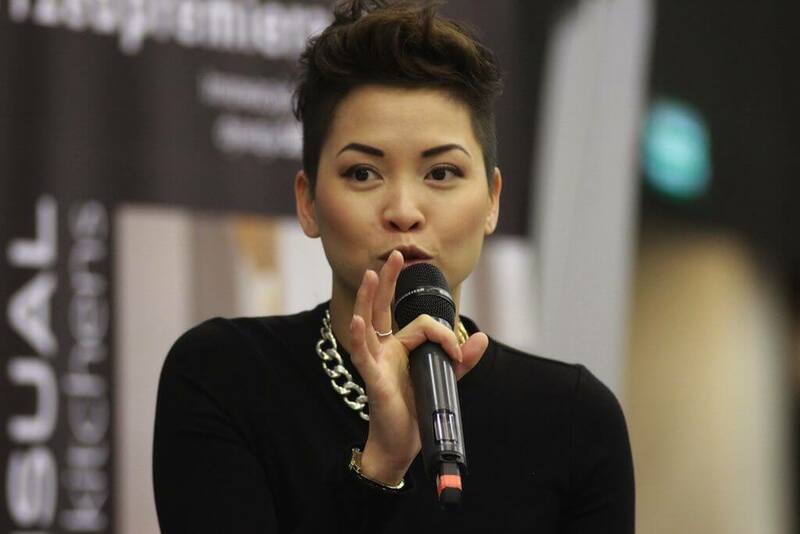 The discussion: Custom design, yet practical – how to live fashionably and comfortably, has aroused huge interest. The moderator – Omenaa Mensah, known for the “Homes of the Stars” show, among other things, invited some serious individualities: Robert Konieczny – KWK Promes founder, Tomasz Pągowski – designer and Grzegorz Szewc – Creative Designer of the RUST brand. This choice of speakers guaranteed the substantive direction of the discussion, but also, a huge dose of humor. In the second part of the discussion, moderated by the editor of “Świat Łazienek i Kuchni” (“The World of Bathroom and Kitchen”), Małgorzata Nietupska and Urszula Tatur of “Dobrze Mieszkaj” (“Live Well”) Magazine, the Creative Designers Justyna Krzysztofik and Piotr Szczotka discussed on How to shape the offer to reflect the change in thinking in the arrangement of kitchen? On the last day, the pace of the event continued to grow. On the main stage Natalia Nguyen, architect and designer, tried to get an answer to the question whether: The user for the product, or a product for the user? The apogee of the meeting was the outcome of the contest for the most popular SENSUAL KITCHEN designer. Congratulations to the winner, Izabela Szumlas and other participants of the competition. 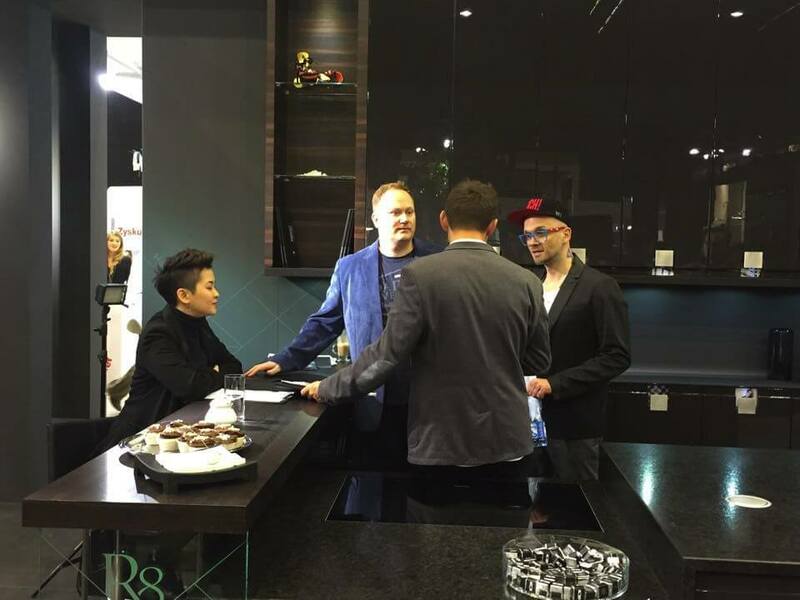 The presenter of the 48 hour Refurbishment show with Tomasz Pągowski, together with the agent Monica and the famous model and TV presenter Omenaa Mensah have visited our stand for a long moment. They were accompanied by Grzegorz Szewc, Creative Designer of one of the salons in Warsaw. All three previously participated in the Custom design, yet practical discussion, but practically and visibly decided to continue the discussion at our stand. The guests from the world of politics, could not miss such an important event. Former Prime Minister Jerzy Buzek appeared unexpectedly in the company of his security. He asked Maciej Bojanowski incredulously, whether our customers actually have such kitchens as RUST R8 in their homes? 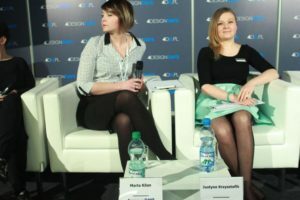 The atmosphere of the stand, the sensual kitchen, was also appreciated by Ms. Krystyna Łuczak-Surówka, Dominika J. Rostocka and Natalia Nguyen. Ladies were not only willing to listen about a new concept of sensual design, but also gave interviews together with the Creative Designers of the RUST brand. Those were really intense four days, but leaving Katowice one could have the feeling of participating in innovation. The sensual Kitchen concept was right at its time and place and the crowning achievement of the RUST team, including RUST Design, was receiving the main award for RUST brand for the best design of the stand.